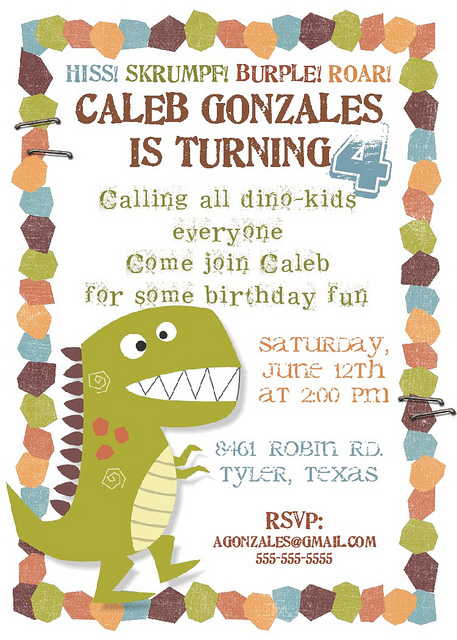 If you have a boy or girls that goes crazy with T-Rex, Stegosaurus or all about Dinosaur, then you should choose best dinosaur invitations before starting the party. Choosing good invitations will excite your child and the guests. 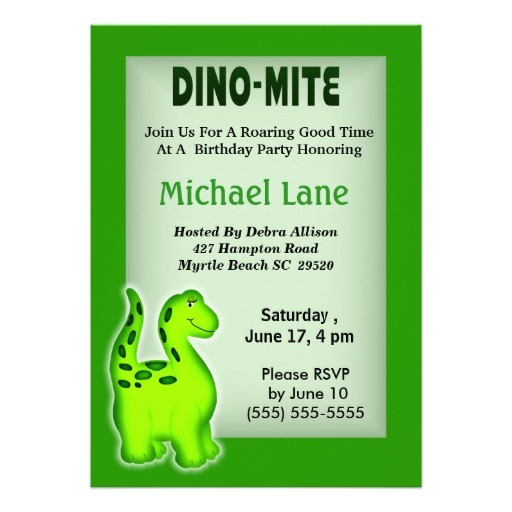 If you want to get nice dinosaur birthday invitations, you can create it and do it by yourself by using some invitation template that you can browse online. There’s another option, more expensive, but you save your time, yes, it’s shop your birthday invitations, online. Below are some invitations example that you can apply or use for your child’s birthday. There are many example throughout the internet. 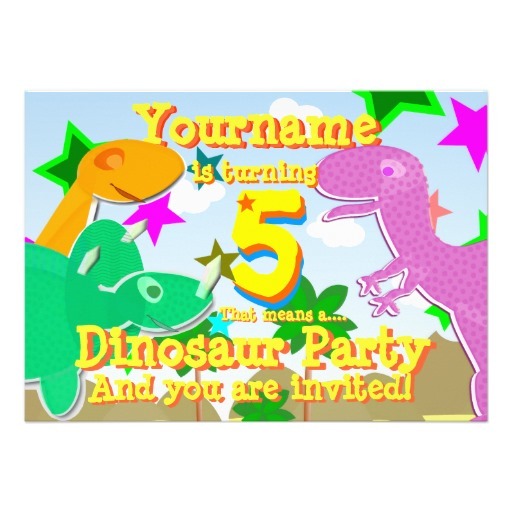 You can start by browse dinosaur invitations from Google. For example, you can find dinosaur invitation with standing dinosaurs, smiling happily with two trees. Make sure that you know what your party’s theme. Cute dinosaur or cartoonish dinosaur is perfect for younger child (0 to 10 years). Bright color invitations also makes your invitation looks so interesting. 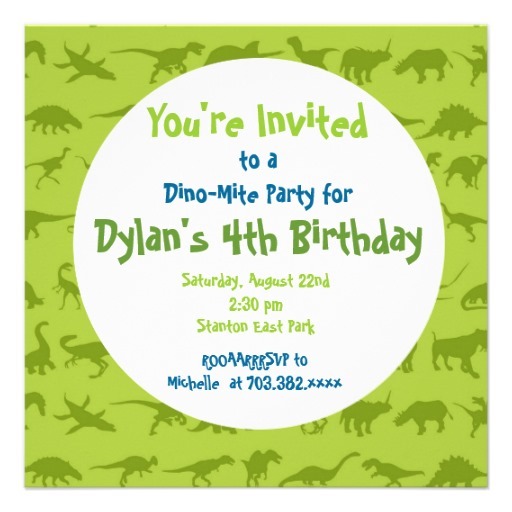 Exclusive dinosaurs invitations usually cost .99 cents – US$2 per invitation. After choosing desired invitations, it’s time to create your invitation wording. Just make it simple and easy to understand. 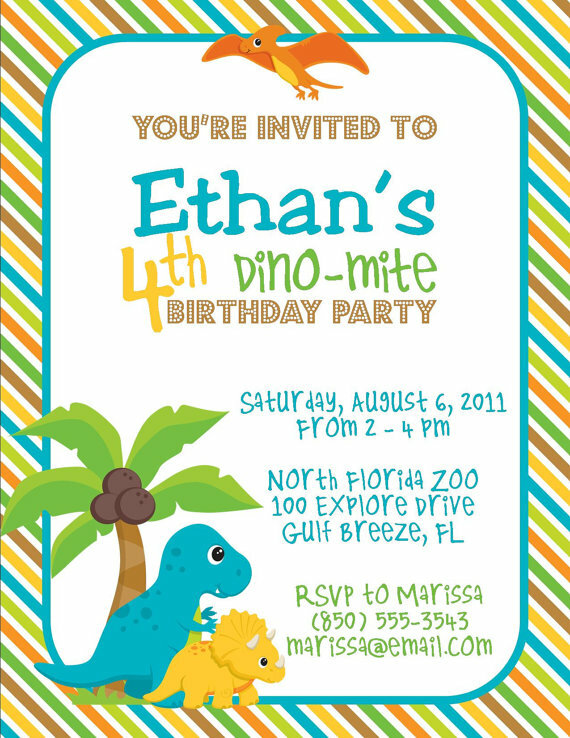 Here are some dinosaur wording invitations that you can use. Use your creativity and tweak this wording. You’ll be sure to uncover a dino-mite time of food, fun, games…and dinosaurs. That’s it! Are you ready to ROARRR? Spread your invitations! Happy Birthday!